Mina is the founder and the president of OnTrack Accounting & Bookkeeping; An independent accounting, bookkeeping and tax firm specializing in helping small & medium sized enterprises to overcome their day to day challenges balancing their books, processing payroll and filing their corporate and personal taxes. Mina provides tax planning, accounting and corporate income tax services for SMEs in the Greater Toronto Area. 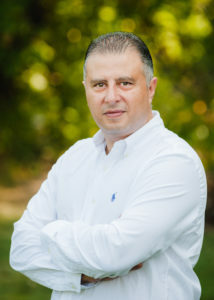 Prior to his current role Mina held various leadership positions in large international corporations in a variety of industries. Mina’s specific domestic and international experience includes accounting, management consulting, process development, financial management and sales & marketing. A strategic thinker and creative problem solver; with intelligence, sound judgment and great diligence. He has achieved results in dynamic and complex international/multi-cultural environments, working with clients in Asia, Europe and North America. OnTrack Accounting provides bookkeeping, payroll, accounting and tax preparation services for clients in Oakville, Mississauga, Toronto and most of the Greater Toronto area.